Time for a wakeup call at Pizza Hut? 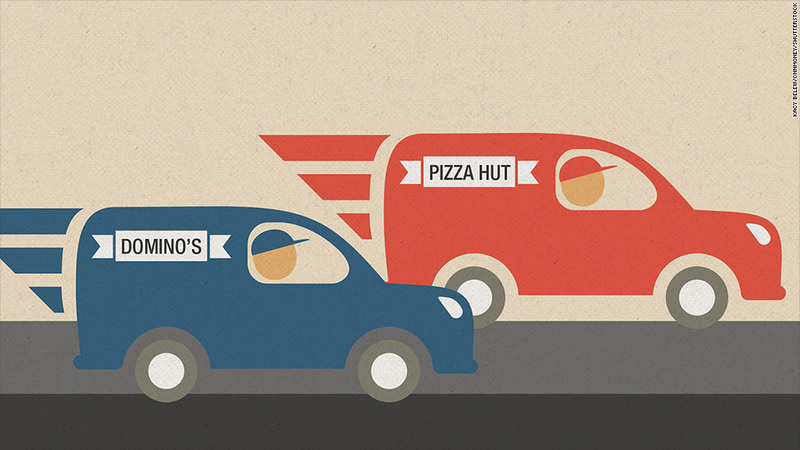 Domino's is gaining on Pizza Hut in the race for market dominance. Cheesy bacon crusts might not be enough to get Pizza Hut out of its recent slump. Sales at the biggest American pizza chain have been slowing down in recent quarters, and its rivals are chomping at the bit. "Pizza Hut's been seemingly asleep," said David Palmer, an analyst who watches Yum Brands (YUM) for Royal Bank of Canada. But instead of waking up, analysts fear that the company is pushing the snooze button. It's still the biggest pizza player, with 16.7% of the U.S. market in 2013, according to industry research firm Technomic. But that's a dip from the year before, and the next three largest chains — Domino's (DPZ), Little Caesars and Papa John's (PZZA), respectively — all increased their footholds in the industry during that time. Domino's made the biggest jump, raising its market share to 11.1% from 10.5% in that time, Technomic said. As Pizza Hut's biggest rival, it has done a lot of things right that Pizza Hut has said it wants to do. A few years back, Domino's revamped its menu and made a big push to boost digital and online ordering. Its efforts paid off, and Domino's isn't slowing down in eating up market share. It reported Tuesday that sales at existing U.S. stores were up nearly 8% from a year ago. Yum said last week that similar sales at Pizza Huts outside China and India are down 1%, and that's an improvement. Yum CEO David Novak, during the fast food giant's most recent earnings call, said the company is tinkering with things at Pizza Hut. 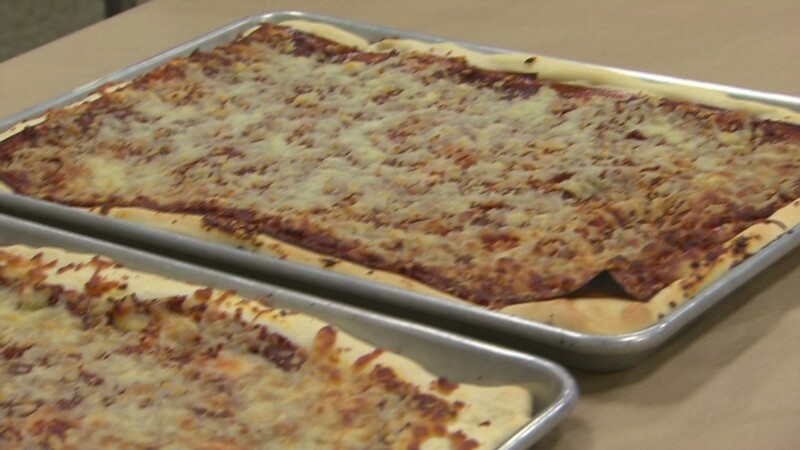 He said the new Hershey cookie cake and cheesy-bacon stuffed crust pizzas were doing well, and he pointed to a noticeable boost in online and mobile orders. Yum first acknowledged Pizza Hut's struggles earlier this year, when it began lowering expectations for the division. One analyst went so far as to suggest that Yum sell Pizza Hut off. Another way forward might be an upscale Chipotle (CMG)-style pizza restaurant clone that could serve as a test lab for new pizza ideas. Yum already did that for Taco Bell with U.S. Taco Co. and KFC has southern-fried Super Chix. But a Yum spokesman said no such pizza stores are forthcoming, even though Chipotle has reportedly been partnering to develop a pizza place of its own. Yum is also underperforming in the stock market, though that has more to do with a lingering food scandal in China than Pizza Hut's slump. Its shares were down 11% for the year on Tuesday. Domino's stock is up 20%, though Papa John's has fallen more than 5.5%.